Millions of people gathered to watch the Jagannath Yatra in Puri, the temple town of Odisha last week, one of the biggest festivals in the state. As the iconic chariot of Lord Jagannath meandered through the beach city, Coca-Cola decided to promote the idea of zero plastic waste to the people for the occasion. The National Service Scheme Volunteers of Puri, the volunteers of non-government organisation PECUC and the student volunteers of Hindustan Coca-Cola Beverages Career Development Centre in Odisha helped the local administration to keep the holy city litter free. While workers were carrying the message for the masses, there were others who were ensuring that all the PET bottles, plastic and other waste was thrown in dustbins. The bins were specially kept for the occasion and people were encouraged to segregate the waste, driving home another key message for cleanliness. 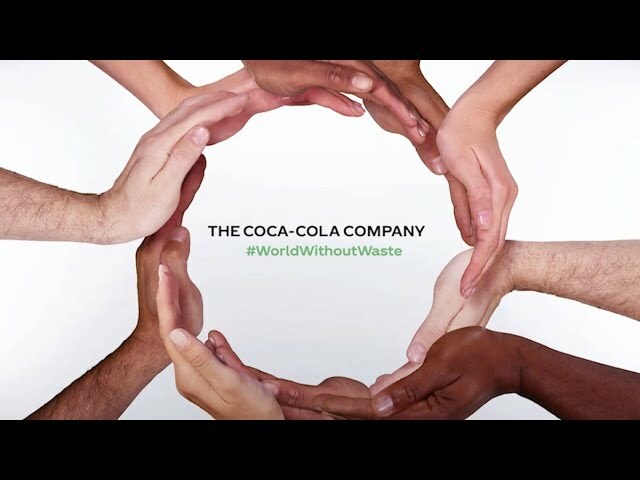 The idea of the Coca-Cola campaign was to create awareness about the need to recycle plastic during the state’s biggest cultural and religious function. According to some estimates, nearly 3 million people attended this year’s procession. The volunteer march from Coca-Cola began a day before the festival to promote ‘Zero Plastic Waste Puri Rath Yatra.’ There was a dedicated team of 30 plastic waste collectors during the festival. This team was supplementing the effort of the local administration to keep the city clean. They were trying to segregate the plastic at the first point of collection. The team was later promoting the recycling of PET bottles. Coca-Cola is also supporting the municipal corporation by providing the blue-coloured plastic bins. This is in addition to the volunteers who have been working after the festival with the municipal authorities to keep the city litter-free. The PET bottles collected during the festival will be sent for recycling, setting an example for managing PET waste in a sustainable manner. Coca-Cola has been consistently spreading its message of litter-free cities for its cultural and religions events. It had earlier made a similar effort for a clean river for the Godavari Pushkaralu Festival celebrated in Rajahmundry, Andhra Pradesh. The city gets nearly 40 million visitors during the 12 days of the festival. Partnering with volunteers, Coca-Cola had helped clean up the Sabrimala Temple in Kerala which was widely reported in the local media. The temple town gets nearly 30 million visitors each year from people seeking the blessing of Lord Ayappa. The shrine is located in close proximity to the Periyar Tiger Reserve in the state. Launched in January 2011, the Career Development Centre is an HCCBPL initiative in partnership with the NIIT Foundation. The objective of the CDC is to tap into the potential of educated, unemployed and underserved rural youth and providing them with skill training designed to meet the entry-level job requirements of the organised sector. The centre is equipped with modern facilities such as desktops with Internet, audio-visual learning aids and libraries, and offers an enabling environment for learning. Since the inception, over 3000 youths have been trained at five CDCs and more than 1600 successfully placed.